Digital wallet app Abra lists new coins. Five new altcoins are being added to Abra’s services. The altcoins are Monero (XMR), NEM (XEM), NEO, Lisk (LSK), and Verge (XVG). 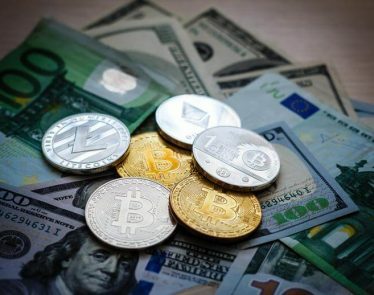 At the beginning of April, Abra added seven new coins to its platform, which included Stellar (XLM). 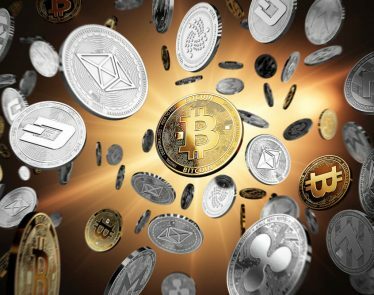 With the addition of these five coins, that brings Abra’s total now to 25 cryptocurrencies. 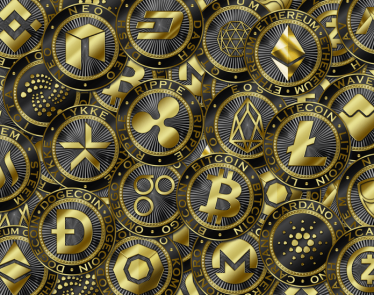 Users will be able to buy, sell, hold, and invest in these new coins along with the rest of the coins already listed with the digital wallet. 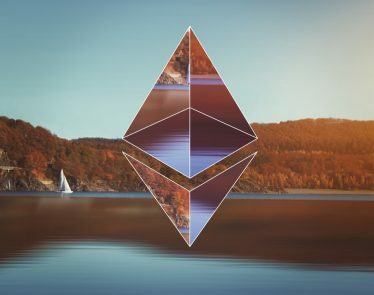 “By adding the five new cryptocurrencies to the already robust list of coins Abra supports, we are continuing to offer exposure to assets that have traditionally been difficult to access in a simple and secure way,” Bill Barhydt, Founder and CEO of Abra, stated in the press release. Monero (XMR) is currently selling for $239.02, which puts the coin down 5.46% in the past 24 hours. 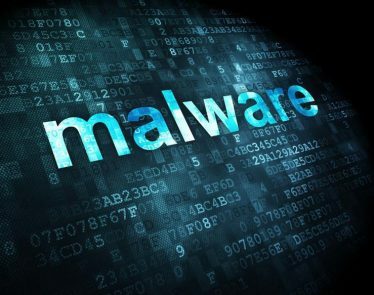 Will Monero grow on the news of being added to Abra’s platform? The Monero team is thrilled about the addition. “The increased liquidity and awareness for Monero that the Abra service will generate is really an exciting development for the Monero community,” said Riccardo Spagni, the lead developer and head of Monero. NEM (XEM) is currently selling for $0.400028, which puts the coin down 3.17% in the past 24 hours. A week ago, NEM was selling for $0.45. Will being listed on Abra help NEM to return to that price and beyond? Abra works by allowing users to add currency to their wallet through their bank account or via Bitcoin. Users in the US will also be able to use an American Express credit card to deposit currency into their Abra account. NEO is currently selling for $82.00, which puts the coin down 5.10% in the past 24 hours. NEO was growing fairly steadily in the past month, but the start of this week saw the beginning of a decline for NEO. Will Abra’s listing be enough to bring NEO back into the green? 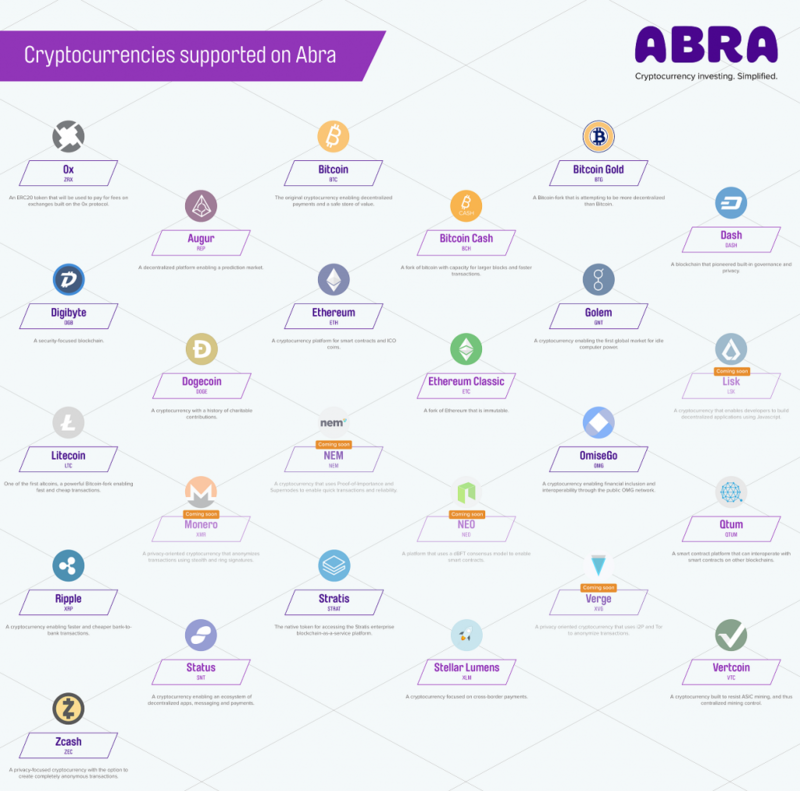 One thing that makes Abra convenient is that, in addition to the 25 cryptos supported, Abra also supports 50 fiat currencies. 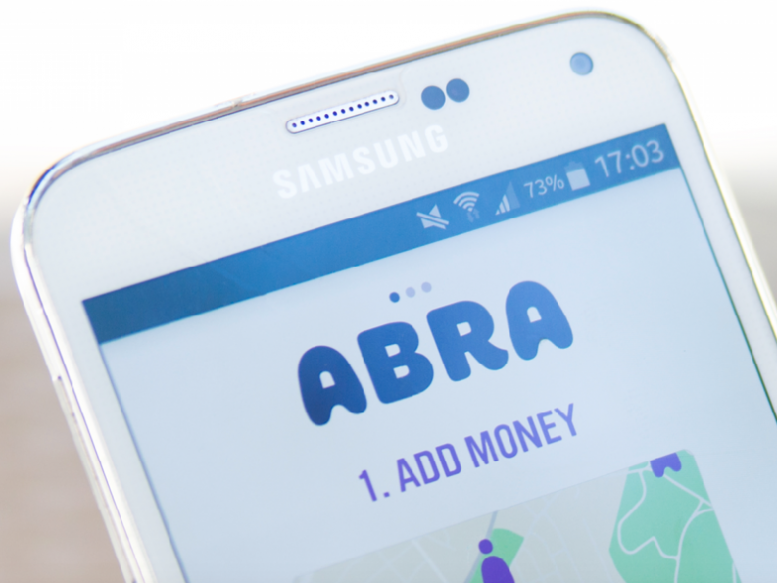 This means that users can also use fiat currency to fund their wallet, and it can be done in as little as a day thanks to Abra’s fast network. It’s good that Abra is adding popular coins like NEO, since these are the coins that many investors want access to. Abra’s addition of these coins gives investors one more way to get a hold of them. 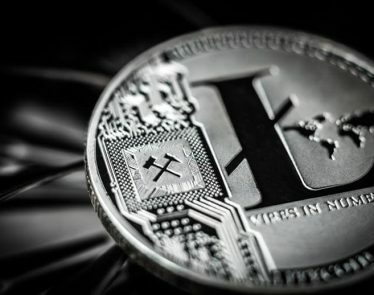 Lisk (LSK) is currently selling for $12.96, which puts the coin down 1.85% in the past 24 hours. Lisk may not be on everyone’s radar, but for those investors that do like to diversify their portfolios, Abra is making it easier for them to do it all in one place. 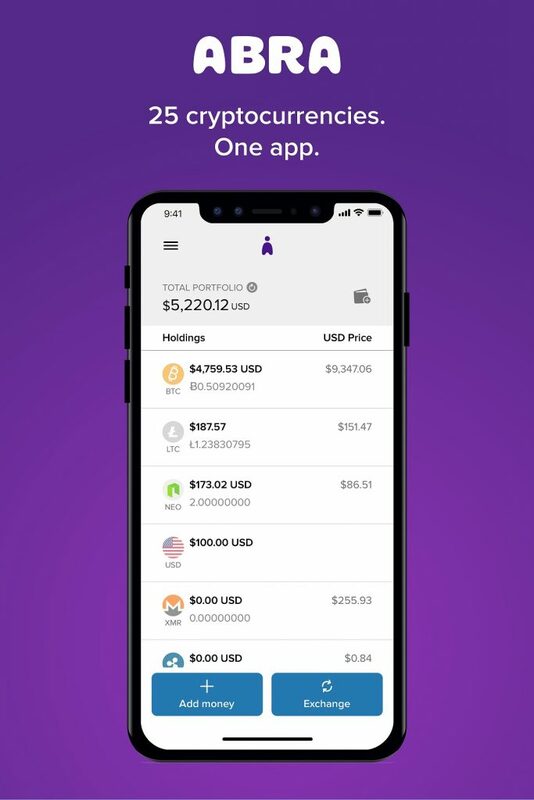 With Abra, users can manage multiple investments through one app. 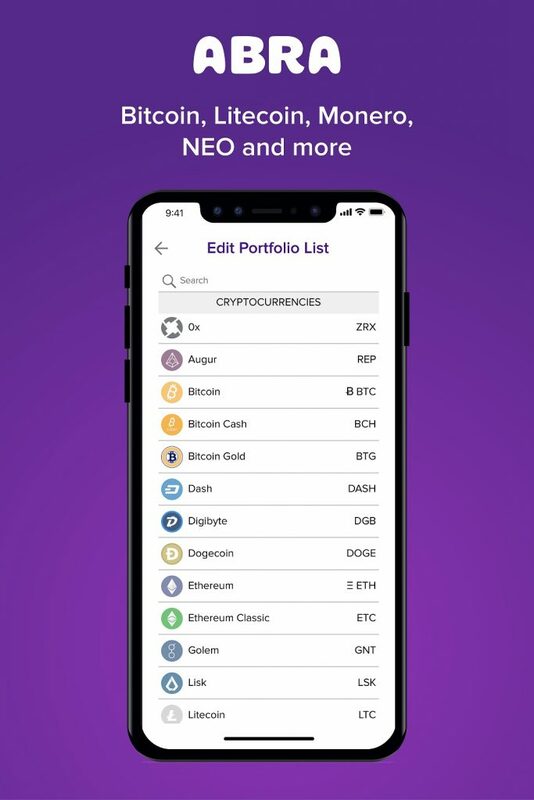 Users will be able to see their portfolio as a whole as well as broken down into the individual coins. For individual coins, Abra shows how much of that coin you own and also how much that coin is selling for currently. Verge (XVG) is currently selling for $0.079438, which puts the coin up 12.93% in the past 24 hours. Verge has been put through the wringer lately. Whether you’re into Verge or not, Abra’s now got it. Will any of the newly listed coins move on the Abra news? Keep an eye on them to find out.